COMMIT TO MAKING BIG THINGS HAPPEN! GET IN ON OUR SPRING SALE! Inspiration is only half of the equation when starting your coaching business. First you will need an education that grows you forward. An education that is relevant today for people’s health needs. An education that is engaging, powerful, and transformative for both you and your clients. 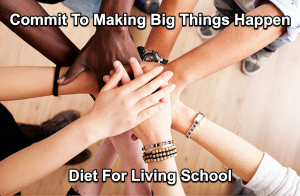 For ten years now Diet For Living School has been the go to education for those students who want to learn the new frontier of optimum health, using food as medicine to heal chronic disease conditions. > Impacts every area of your life. > Guarantees your personal growth. > Connects you to an incredible community that inspires you. > Pays well, feels fulfilling and makes a meaningful difference. Then dive in!!! Become a Certified Holistic Health Coach. Realign with your purpose. 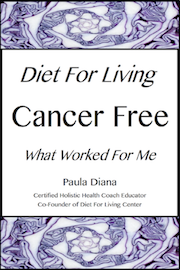 Discover the exhilaration of guiding others toward a happy, healthy life. You do not want to miss getting a spot! Early registration will assure that you can join us and receive the training that will change your life.